This fantastic Porsche 911 2.0 T Karmann LWB, built on the 3rd September 1968 was supplied from new to Pacific Burlingame to its first San Francisco owner. This 911 T is rather special as it is the first Long Wheel Base B-series Porsche with Karmann body (K-coupe) number 0008. It has also been suggested that this is the oldest production 911 around with Matching Numbers. The two main changes were the increased wheel base by 57mm and the lightweight sump. The example has the original magnesium sump with very early casting serial numbers. 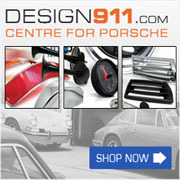 Everything has been extensively described and comes Porsche certified. In the early 1995 the car was exported to the Netherlands from the America. Over a period of four years, from 2009 to 2013, the car was completely restored and the engine, gearbox and clutch were mechanically overhauled. 911 E camshafts were used to provide more torque and power. Again the restoration has been fully recorded. The interior was refurbished in 2012 and in 2014 a short shifter and ventilated brakes were fitted. The body panels fit nicely. The paintwork is good but not perfect. The original underbody is sound and rust-free. The cars` interior is almost completely authentic and has been well maintained.